So, what’s better about the app? Glad you asked, my friend. For starters, the selection of casino games is wider – instant play offers over 80 slots games, and that number is increased to more than 120 slots games on the Windows casino software. That’s roughly 40 more slots to choose from, meaning you’re bound to add a few more games to your list of favorites. In addition, the app is easier to access than the Slots of Vegas instant play site. It’s right there on your desktop, so there’s no need to go into your internet browser first. Plus, all your user information and preferences are saved in the app, so you’re already logged in when you open the app. It’s a small step to log in every time, we know, but it also shaves off precious moments that could be used for winning more money. And that’s the important part. And did we already mention that this online casino software download is completely free? Because that’s one of the fabulous aspects that makes the Slots of Vegas PC app pretty spectacular. The online casino software offers the same excellent graphics provided by RealTime Gaming, and you still have access to 24/7 customer support direct from the app. 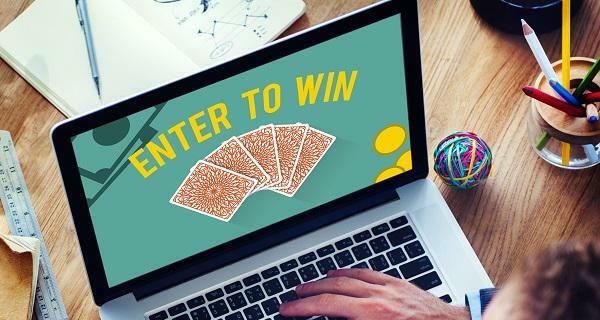 And downloading the Slots of Vegas Windows casino is easy peasy – just follow these steps for proper installation: STEP 1 Click on the Download button to install our free online casino software on your computer. A file download security warning will appear, giving you three optional actions. Select “Save”, or choose “Run” and skip to step 3. STEP 2 After the download takes place, another window will ask if you want to run the software. Click “Run” to continue, then wait until the automatic installation finishes. STEP 3 A system security warning window will appear. Click “Yes” and wait for the setup process to start automatically. To get through the process, simply click “Next”. STEP 4 When you’ve reached a screen with our terms and conditions, read through carefully. Then, if you agree, select the “I accept” option to continue. STEP 5 Hit “Next” until you reach the “Install” option. Click on it and wait until you see the “Install Shield Wizard Completed” screen. Hit “Finish” and the casino suite will open. STEP 6 If you don’t already have an account, create one at this time. To play with your existing account, simply click “No” when prompted to create a new one and log in with your credentials. BOOM. It’s that simple. Within minutes, you’re ready to start playing on your very own Slots of Vegas PC desktop app! If the unlikely event occurs that you experience difficulties while downloading the software, don’t panic. Our customer service staff are trained to assist you with any concerns or questions you might have and are available 24/7. The Slots of Vegas online casino software is certified by both McAfee and Norton Anti-Virus, meaning that this software won’t introduce bugs including malware, viruses, or worms to your computer. Your PC remains secure, and your gambling environment is as safe as our online site. Don't have windows online casino? So, maybe you don’t have a PC. Maybe you’re an Apple person. Or maybe you don’t even own a computer. Fear not – we’ve thought of this and you have multiple options to choose from. You can play on your web browser on your Mac, or play the mobile Slots of Vegas casino on your smartphone. No matter what, you’re going to get the same awesome playing experience as you do on the site. Guaranteed.